We all love Pottery Barn. Sometimes I hate to admit that because it’s a mass retailer, but I do have to admit that they’ve got the stuff. That’s why so many do it yourselfers strive to imitate. After all, imitation is the best form of flattery. 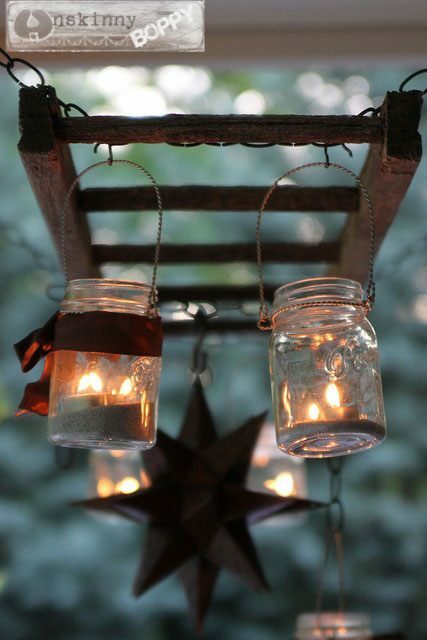 Beth hung her beautiful DIY Pottery Barn lantern ladder over a table on her back porch deck. But this lovely ladder would look wonderful either inside or out. 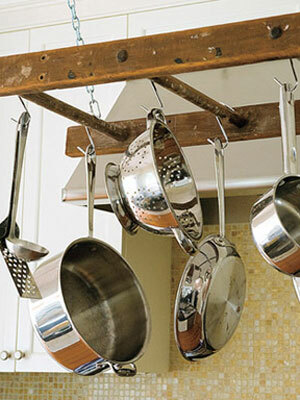 Another fun idea for an old ladder is to use it in your kitchen to hang your pots and pans. 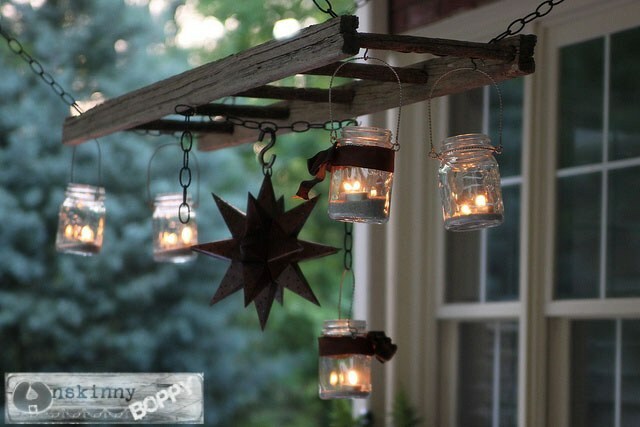 To make your own DIY Pottery Barn hanging ladder or even a hanging pot rack in your kitchen, check out the Pottery Barn Inspired Ladder Lantern tutorial at unskinnyboppy.com. 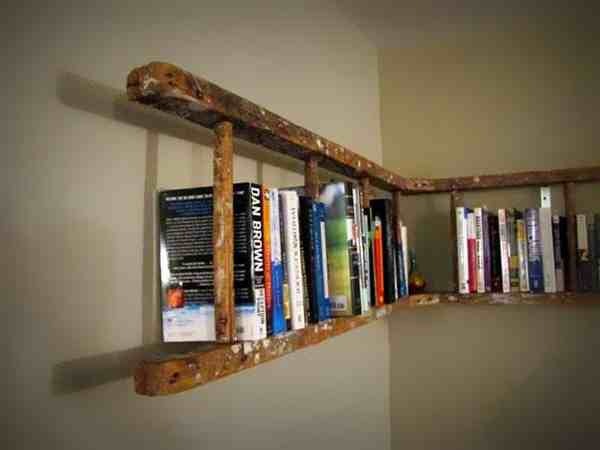 And for another fun idea for an old ladder, check out this fun DIY Ladder Hanging Bookshelf. Old ladders are just great. Wish I had a few more. I love her Pottery Barn copy. She did a great job. I completely agree Beverly. I think a lot of people over look their potential.